This year, Imagine (IFF) decided to guide you into the Fantastic Fashion world next month, since every fantastic film has its own dress code and styling. With a wide program of films showing and guest fashion designers, the festival will focus on the role costumes and styling play in creating a fantastic illusion. The IFF aims to hit hard by crossing the gap that separates the art from the film by creating a bridge with EYE on Art for the third consecutive time. If you like to dress up as your favorite characters, you’ll pick the same clothes. Because each character has a special outfit that makes it fantastic, unforgettable and singular. Thus, the festival will bring together local and international fashion designers who have brought together fashion and film. Two international fashion designers, Esther Dorhout Mees and Jacob Kok, whose work already appeared in films, will put their work in a historical background to compare it with older documents. 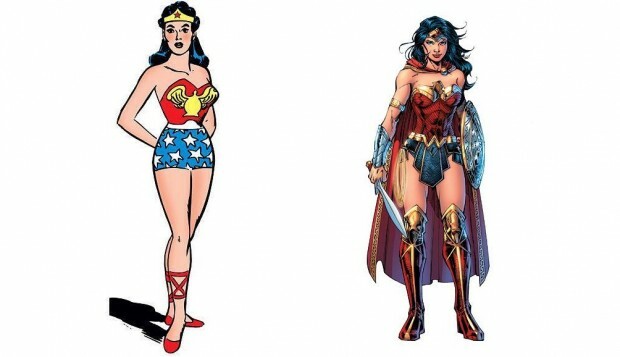 As IFF focuses on Wonder Woman, whose look has particularly changed over the years, the Canadian historian, author and blogger is invited to talk about the reason of how female superheroes have changed throughout time, and how the costume symbolizes the change. For those who love fashion and create, James Bond’s costume designer Lindy Hemming will be heading a masterclass for a general audience. Aided by drawings and other materials, she’ll talk about her work and how her designs have helped shape the fantastic character of films. Hemming created costumes for Christopher Nolan’s Dark Knight trilogy but also made amazing costumes for the new Wonder Woman, which will be released this summer, and even won an Oscar. You can see some of her creations in the public area at EYE during the entire festival. Many shorts will be displayed along with the Fashion Film Festival in Berlin, in which you can also see Christopher Walken in a series of short films made for a famous clothing brand. But the entire program is here.